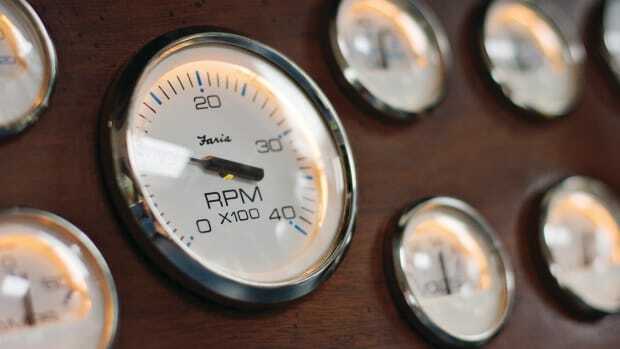 Almost all marine engines rely upon an engine-driven pump to provide the seawater needed to maintain proper engine temperatures. Taken for granted until they fail, these simple pumps can bring your cruise to an abrupt end. Servicing a failing impeller-driven pump is one of the skills the prudent cruiser should have. Once you successfully troubleshoot your seawater impeller, you will be underway again with engine temps where they belong and with your boat blowing soap bubbles out the stern—more about that later. Two companies, Jabsco (a Xylem brand) and Sherwood (a Pentair brand) dominate the market, but JMP Marine (a Korean company with a U. S. division) is making gains. The following information applies to all of these brands. 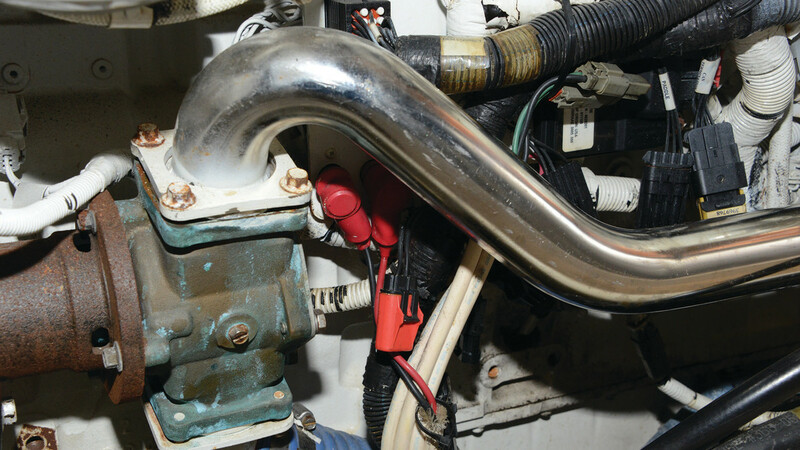 The seawater pump moves water from the intake strainer into the engine’s heat exchanger. The engine spins this pump by means of a belt or gear. Knowing which type of pump you have is critical. 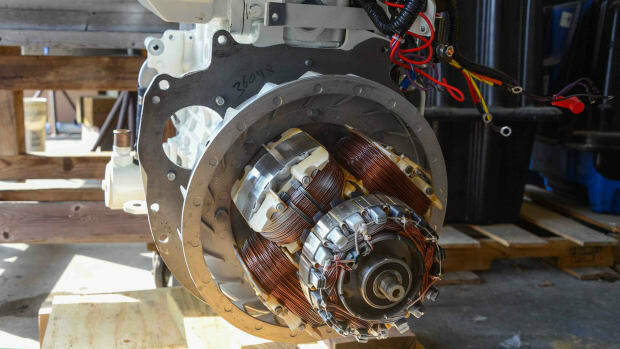 If it is belt driven, it likely shares this belt with the alternator. If the alternator seizes and you cut the belt, then you lose the seawater pump and therefore the engine. If it is gear driven, however, it might be possible to cut the alternator belt and keep cruising. The belt or gear spins a flexible impeller inside the pump housing. The impeller consists of neoprene vanes attached to a center hub. Neoprene, a synthetic rubber, retains its flexibility over a wide range of temperatures. Neoprene has good chemical resistance and seawater poses no problem. Changing the impeller might expose the neoprene to other chemicals, however, and we will discuss that shortly. It might seem obvious that spinning vanes will induce a flow of water, but that alone does not suffice. Inside most pump housings a cam—a thick metal or plastic insert—rests between the inlet and outlet ports. The flexible vanes ride over this cam, which bends them away from the inlet opening where seawater enters. When the vanes pass over this opening, they spring back, creating a low-pressure area that draws the water in. The spaces between the vanes fill with water. When the vanes come to the outlet port, the cam compresses them, forcing the water into the outlet port. So far we have identified the pump housing, impeller, and cam. A cover plate and gasket or O-ring provide the seal needed to contain the water and maintain pressure. The cover plate is more than simply a cover: The edges of the impeller vanes ride against the inside of the cap, forming a seal. The same happens on the other side of the impeller where it rides against a wear plate. Finally, we have a seal or two. 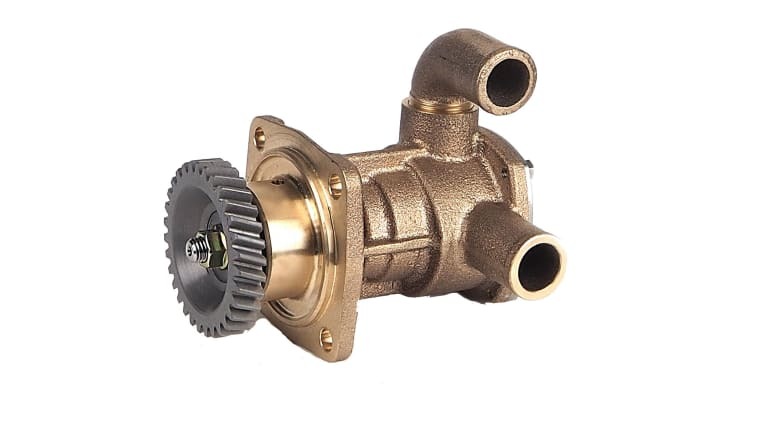 Gear-driven and belt-driven pumps have a seal that fits around the pump shaft to keep water from leaking out. 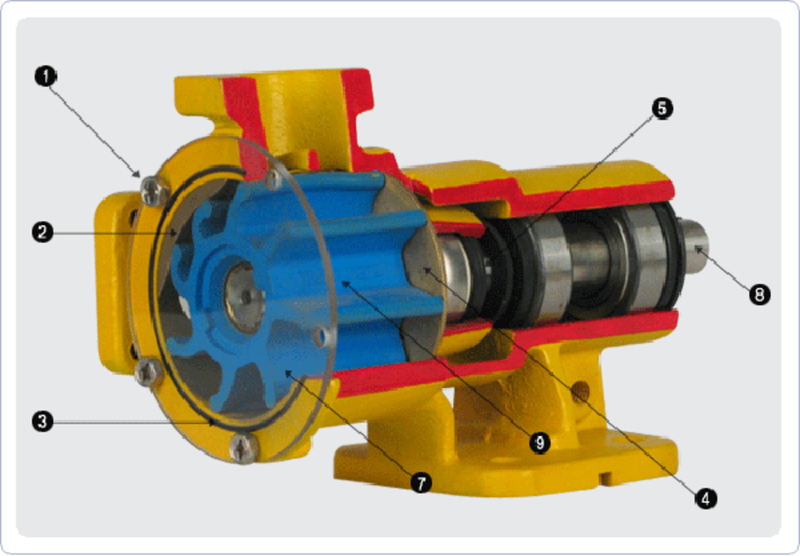 In addition, gear-driven pumps have another seal that keeps oil from leaking out around the shaft. Prudent preventative maintenance calls for replacing the impeller annually. Sure, it can last longer, but why take the risk? As it depends not just on hours of use but also a range of other conditions (how long it sat unused, abrasives in the seawater, temperatures, and other factors), impeller longevity cannot be easily predicted. Impellers can also suffer from extended periods of not being used. How long is too long? That depends on many factors, including temperatures and impeller size. While sitting unused for several months (through the winter, for example) should not be a problem, if the impeller has not moved in a year or more it should be replaced. Many boaters go years without replacing the impeller, but the prudent path would be annual replacement or, at a minimum, annual inspection. Preventative maintenance aside, you’ll want to know how to replace an impeller in case of an overheating engine. If your engine temperature starts to increase and the strainer is clean, the impeller would be the next place to look. 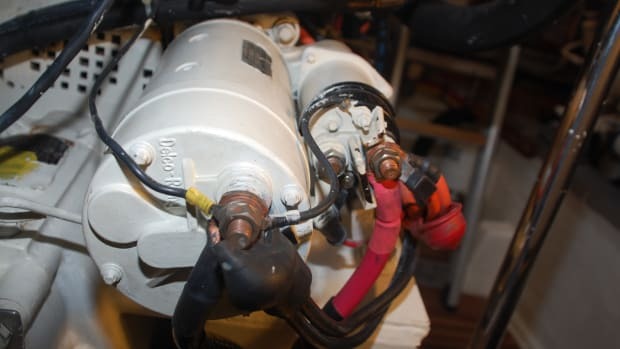 Whether performing a preventative replacement or troubleshooting an overheating engine, the first step is to close the raw water intake seacock and place a reminder tag at the key switch: You don’t want to go through this whole process only to start the engine with the seacock closed and toast the new impeller. Next, you will have to remove the cover plate to access the gasket. This seemingly simple task can often be far too challenging. In many cases access can be shockingly restricted, leaving you to cuss the engine manufacturer or boatbuilder in disbelief. And once you gain access, not only can the small screws be difficult to remove but they are also far too easy to drop in the bilge. Speedseal (speedseal.com) offers an aftermarket cover plate with larger knurled fasteners to facilitate easy removal. With the cover plate removed, the next step is extracting the impeller. The fit can be snug and the impeller difficult to remove. Prying out the impeller with a screwdriver should be avoided as it will damage the pump housing. Impeller removal tools are available for purchase, and they work much the way a corkscrew works to open a wine bottle. If you do not have the correct tool on board, you should first spray a lubricant into the housing and onto the impeller. 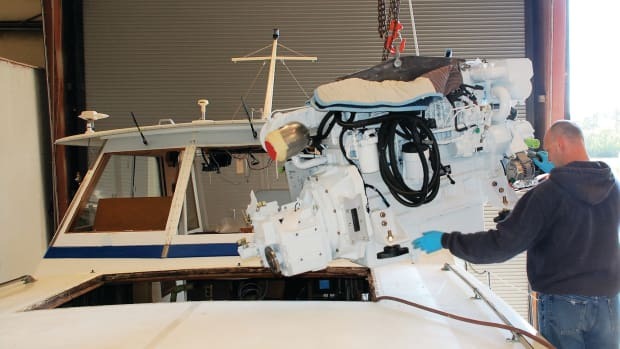 Then bump the starter once or twice to force the impeller to rotate—the lubricant will now be dispersed between the impeller tips and the metal housing, making removal easier. Grab the vanes with a pair of pliers and pull straight out. On higher horsepower engines—roughly 300 horsepower and higher—many of the impellers have a threaded insert that allows you to use a bolt or special tool to extract the impeller from the housing. Once the impeller has been removed, you must decide on the next step. Now that you have gone this far do you really want to put the old impeller back in, even if it looks fine? If it looks okay, the old one might make a good spare. If limited access or skills make replacement difficult, replace it. If you are heading out on a long or challenging passage, replace it. If you want to try to reuse the impeller, a close inspection should be the next step. The impeller vanes will be bent over a bit but should return to something close to straight within a day—if not, you need to replace the impeller. The ends of the blades should be round and not worn flat. Flex the blades and look closely where they meet at the center—no cracks should be visible. And, of course, no pieces of the impeller should be missing. If the impeller passes all these inspections, the impeller remains serviceable. If the impeller is broken or worn, you will need to inspect the rest of the system for associated issues. If pieces of the impeller have broken off, you will need to find them downstream as they will restrict the flow of the seawater cooling loop. You may find them lodged in the discharge port at the pump, at the inlet side of the heat exchanger, or at the fitting where the raw water injects into the exhaust elbow. If the ends of the impeller are shiny or cracked and some vanes are missing, it likely ran dry at some point. If the blades are intact but have worn tips or imprints from the cam, you might have a blockage on the discharge side creating too much back pressure. Look at the inlet side of the heat exchanger for an accumulation of anode pieces or impeller bits. Finally, if the impeller vanes have pieces missing from the middle of each tip, you might have cavitation inside the pump from too much vacuum on the suction side. Closely inspect the cam and pump housing for pitting and check the piping between the seawater strainer and the pump for restrictions. If this problem has happened more than once you might have to increase the diameter of the inlet pipe fittings and hose. Like removing the cover plate, installing the new impeller can be frustrating as they fit snugly in the housing. If compressing the vanes enough to get it started into the housing is challenging, try these tips. First, identify the method by which the impeller mates with the shaft. Some rely on a key, and keeping the key in place can be tricky. A splined shaft matches up much more easily. Once you know how it will align, you are ready to install the impeller. At this point you will want to use some lubricant. Some impellers come with a manufacturer-provided lubricant. 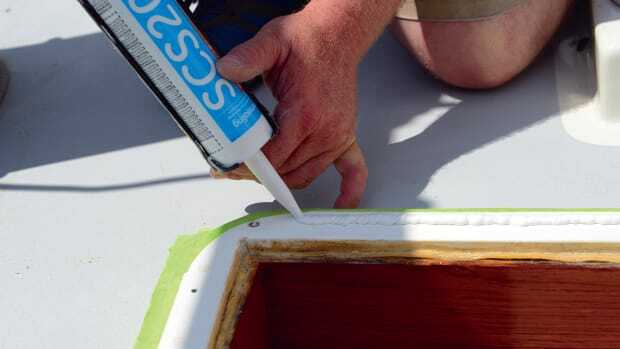 In the boatyards we use dish soap—the soap will not damage the neoprene, and once you start the engine you will be blowing bubbles out the exhaust discharge, providing visual confirmation of your success. The soap serves two purposes: It helps the impeller slide into place and temporarily lubricates it until water fills the housing. (Avoid using petroleum-based products, such as Vaseline, for lubrication as they will damage the neoprene.) Apply the soap liberally to the inside of the pump housing and to the impeller. You can compress the blades using a hose clamp or plastic tie-wraps. Squeeze the blades and then slip the hose clamp over the end and slide it up about ¾-inch from the end. A second clamp or tie-wrap can be positioned at the opposite end. Now slide the impeller part-way into the housing and gently rotate it until it aligns properly with the key or splines on the shaft. Once engaged, push the impeller in until the first clamp stops you. Remove this clamp and slide it in further. Then remove the remaining clamp and push it the rest of the way in. The vanes will have to bend one way or the other, and there is a 50/50 chance you will have bent them the way they will eventually go. In any case, the vanes will flip over when the impeller starts rotating. But on larger impellers (those for an 800-horsepower engine, for example) it would be best to get the vanes in the right way from the start to avoid placing undue stress on them. With the impeller removed, make sure to inspect the remaining parts of the raw water pump for wear. Check the inside surface of the cover for pitting or wear grooves. The more evenly the sides of the impeller ride against the cover plate, the better the pump output. 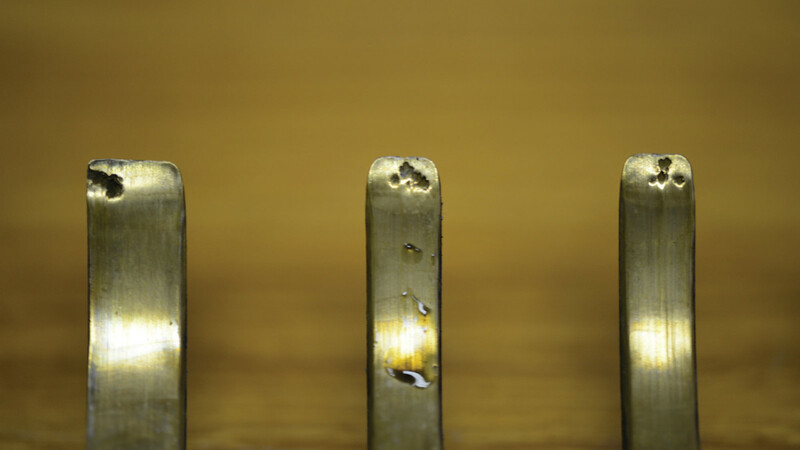 The inside of the cover plate should look polished and slightly worn, but replace it if you can feel grooves or pitting. In a pinch you can clean and polish the outside of the cover plate and reverse it. But this is only a temporary solution as the stamped lettering will create impeller wear. Inside the pump housing at the back you will find a wear plate and the same standards apply here as well. The cam also can wear. 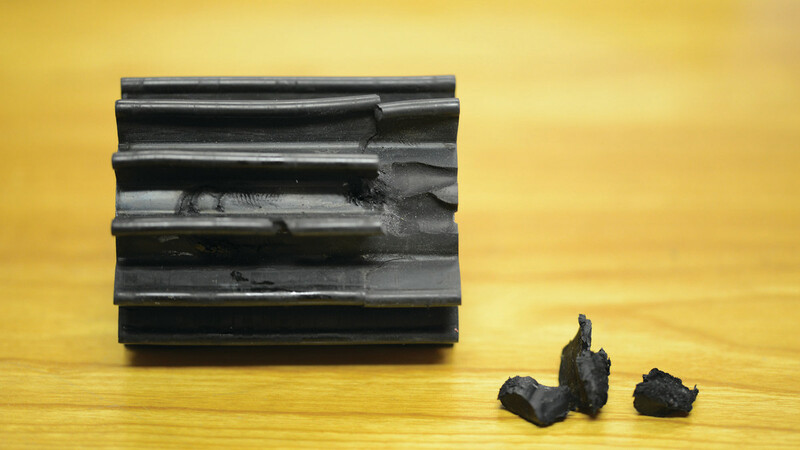 If it has turned pink from corrosion, has pitting, or exhibits wear grooves, it should be replaced as soon as possible. Some would even suggest that any time you replace the impeller you should also replace the cam and the wear plate. As mentioned earlier, your seawater pump contains at least one seal (for seawater) and possibly a second seal (for the oil on gear-driven pumps). The pump housing includes one or two “weep holes” so that any fluid that leaks past a failing seal will be visible here. 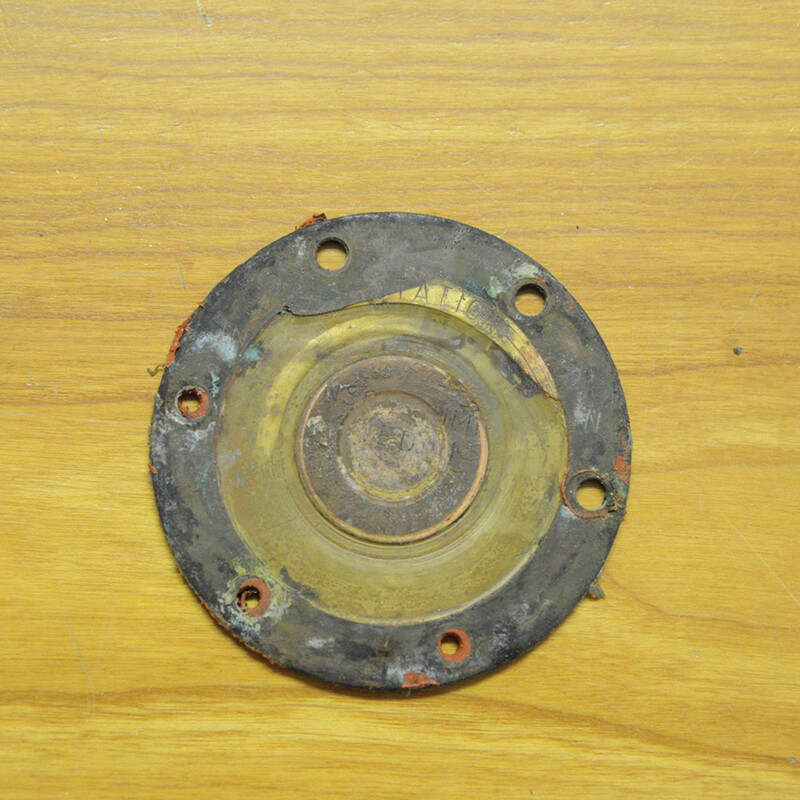 Occasionally debris in the seawater will create a minor, temporary leak in the mechanical seal. If you have a minor seawater leak that disappears after a day or two, there is no need to do anything. Any oil leak, however, or any ongoing seawater leak points to a failing seal. In those cases, rebuilding or replacing the pump should move onto your list of upcoming maintenance. Losing small amounts of seawater through a failing seal does not present an imminent problem—after all, there is plenty more seawater where that came from. But I inspect many boats with downstream damage that has gradually occurred from minor but continual leaking. 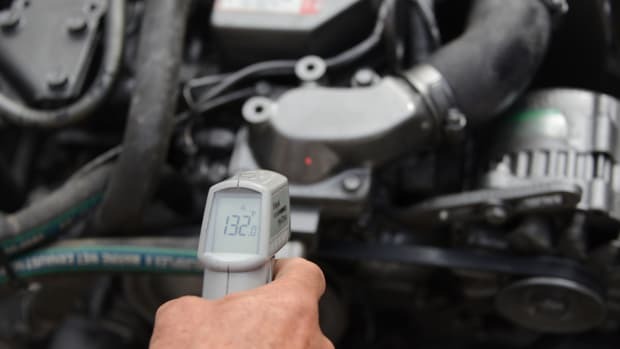 These issues include flaking engine paint, rusted engine mounts, and damaged engine wiring connections, so it makes sense to tackle these leaks promptly. 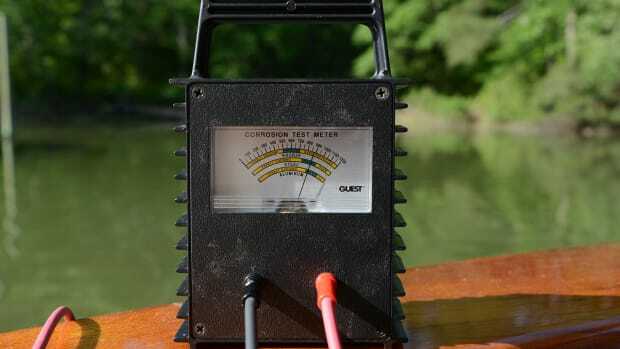 Unlike so many of the new digital products, the engine seawater pump remains accessible to boat owners. 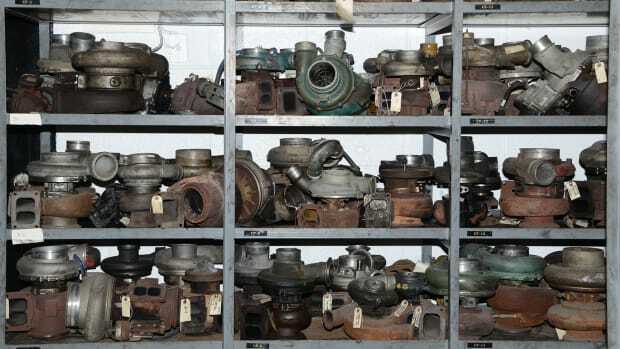 With a minimal number of spare parts and some basic skills and tools you have a high probability of successfully dealing with a seawater pump problem on your own. Your first attempt, however, should always be at the dock, not at sea. Some configurations require removal of other components or special tools (and in some cases replacing the whole pump will be easier than changing the impeller). 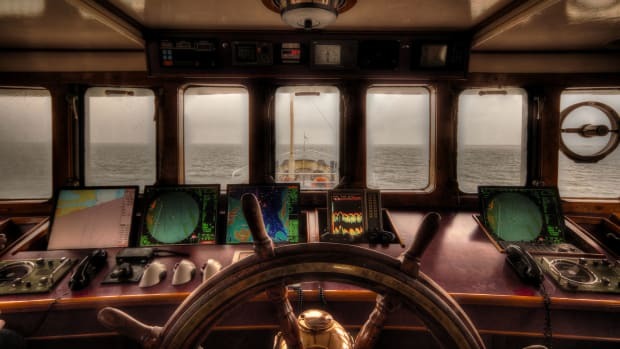 By monitoring engine temperatures and keeping an eye out for oil or seawater leaks at the pump, you will be able to stay ahead of any brewing trouble.